The facilitators provide a lens to look through that broadens our horizons and quickens our capacity for being in unity with that which operates on behalf of all life and has us exist as whole. If you are called, join us. The facilitators provide a lens to look through that broadens our horizons and quickens our capacity for being in unity with that which operates on behalf of life and has us exist as whole. 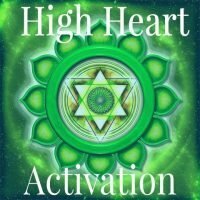 Tonight we began a series of 7 Higher Octave Activations. We developed some practices and opportunities to register realities that live in the higher octaves…realities that have never let us…only the registers for them have. I know that in the Activation we do our part to increase our system’s strength, stamina, and capacity to become part of those realities. Are you Part of the Generating Organizing Design[s] of Creation? I am exploring working with Awakening Being who are here to generate new realities with the Generating Organizing Designs of Creation. I have exploratory information telecall on Saturday, April 6th, 2019 at 6:00 am pst. We are formed from innate goodness. Let’s come together in our Spirit and play with the goodness inherent within us all. I am exploring working with Awakening Being who are here to generate new realities. I have an exploratory telecall on Saturday, March 6th, 2019 at 6 am pst. The facilitators provide a lens to look through that broadens our horizons and quickens our capacity for unity. This month we will look at our goodness. There are healing powers that have not been available before now. What was discovered in the January Activation is we are in a time where our cells can remember what it is to be whole. The Dialogue I did on January 30th, 2019 was co-opted by seeing all around me people confronting what they cannot do anything about. Death, injustice, pain for another who we do not know how to help. I had decided that last night would be my last Dialogue except for special guests because I feel it is essential that people come together to deepen their relationship to what it is when you cannot do anything about something you wish was different. When is it time to let go and be. I realized most people do not seem to be in these deep dialogues so I am done opening them up to the public. Hiding will not work. Going deeper will but ah well, not anything I can do anything about. The conversation was rich about real people and real lives, no theory. It was worth it. Then this morning getting ready to do my newsletter, my beloved Claudia Johnson posted this video. It was a rich and deep and priceless as the conversation last night. It fed my soul and enriched my knowing that we must drill down into the deepest nature of ourselves during these times. We must learn what it is to be real, to peel away the illusion and live. What is it to be a Valentine? There are healing powers now that have not been available before now. Is it possible the power of Creation is upon us in a way that is yet unfathomable? All I know it is calling and it is mine to respond. Join me. Given the activity of realities of separation occurring at this time. I am opening the borders of USA, Mexico, Central America, and South America as a planetary gathering point on behalf of all life and what has us exist as whole. One of the most exciting things about being able to connect beyond our borders is that we can get to know each other. Giving our neighbors a face and a heart to create with is our objective whether it is Europe, the Middle East, Asia, South America, Central America, and all islands and isthmuses in between. In the Unity of Care Community, we like being part of the realities of unity with others in the field of creation. Come on 15 minutes early and support Janice in building the field for the call. At the top of the hour, we will play Randy Travis\’s Point of Light establishing ourselves as a point of light in the planetary grid. Below is the speech that was given by Oprah Winfrey about Nelson Mandela at the 2018 Festival of Global Citizens. We will look at our own lives through this lens of creation she provided, drawing in another part of our planet, Africa. Maru, from Mexico, and I have longed to bring our two cultures together. With my daughter, shortly after the call, going to the Mexican border to support people coming over from Guatemala and elsewhere in their request to enter the USA, the timing is perfect. People who have been with me for a while recognize that I build and participate in Fields of Unity within which new realities arise. The Unity of Care Call is where we come together as a global community. Maru will be translating into Spanish for people who are Spanish speaking and Spanish into English for English-only speakers. Every small community becomes part of a greater whole so part of a greater movement. We are doing our part. Each of us is unique and essential to the whole. In these calls, we generate an energetic environment of rest, strength, and capacity to be who we came here to be. Remember life begins in the etheric or in energy before it becomes matter or physical. I work in creating energetic matrixes on behalf of all life with others in the field. This is the ancient alchemy within which new realities are born. I want to give you two gifts from my heart. 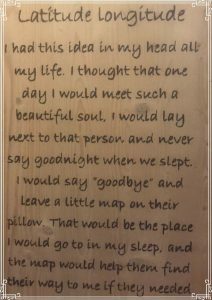 The first Gift: This is the wooden carving I have by my bed. It was carved by a man at Glastonbury Cathedral using a magnifying glass and the sun. It is this depth of intimacy that started my journey in service of humankind. Now at 72 looking back, it has been a beautiful and profound journey. There are 2 calls for this day. So much has changed this month. I don’t know if you have noticed it. The ground under our feet is changing in an almost moment to moment way, that we can neither perceive nor comprehend. I have had my ear to the cosmos and my eyes to the ground. What is emerging is both stunning, disruptive, and exciting. I am leaving for two months and those two months have a lot to do with what I have become present to. I am using the call to bring us all into coherence with what is upon us. I look forward to speaking with you. What a whopper of a call it could be! To listen to our June time together. Purchase here. To listen to our July Dialogue: Purchase here. 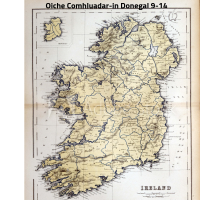 Listen to the Oiche Comhluadar in Donegal live from Ireland. Each Spirit Hour brings us more into alignment with our love of life at a spiritual level with the world around us. This is a tradition that is over 20 years old now. It is our virtual moment to be in a message from Spirit. This is the one time, I sit with you as an ordained minister of the Interfaith world. For me, we are our church, our synagogue, our temple, our direct link with Creation. Sunday, September 16th, 2018, will be a special Spirit Hour. I will be on Omey Island in Connemara, Ireland. The forces of life are fierce and often human beings are at the effect of those forces. We are in those types of times once again. What is it the human spirit that finds the love of life when it feels as if everything is against them? This is ours to discover. All these years, the less public part of me has worked with the greater kingdoms and the netherworlds. I was shown that when I was 72, I would begin to engage with the mystical realms that govern the flavor and substance of a human life more deeply. We are in times where we have the opportunity to reconcile our existence under trying times. We have the opportunity to find our place in the greater scheme of things and, yes, return to our relationships with that which has been hidden from view. As I have said before, I am not for everyone. This is a tradition that is over 20 years old now. It is our church, our synagogue, our temple, our direct link with Creation. As you can read in the diary entry I posted August 17th, 2018, a doorway opened us up in the August Activation into a metareality that is operating, as best that we can probably comprehend, side by side with this reality. For me, it is an ark of consciousness carrying us in Dreamtime as things in this reality do what they do. Many have spoken about a parallel timeline. I am clear that many of us are living it, but is probably only apparent in Dreamtime where the limitation of mind is not present. In the landscape of the Activation, there were three metastates present. That means that we were where reality exists as peace, love, and joy. This is different than ‘in’ peace, love, and joy here because we carry the traces of conflict, hate, and sadness here. In the Dreamtime metareality we entered into there as no tracings of conflict, hate, or sadness. We are in a different world. We were part of a dimensional kingdom that once carried on this planet the Realm of the Beloved. That kingdom is returning and you are welcome to be present to it in anyway that you can perceive. It was evident that peace threads were woven into our waking world from a place where there is only peace. I am betting that since we were given, peace, love, and joy as the building blocks of that reality, that we can choose love or joy and use the next activation to find our way more deeply into the Dreamtime of this parallel reality that has presenced itself for us. Without my realizing it, the August Activation turned out to be a new Dimensional Series occurring. Sometimes hindsight is called for because we are part of a bigger kingdom that is participating with us, especially now. You can read my diary entry to catch up on what turned this into a dimensional landscape that we are activating during this time. Or you can purchase last month’s Activation in the Dreamtime of ‘peace’. I recommend you purchase for only 99 cents the Activation Guidebook.ramaat.com/product/activation-guidebook/” rel=”noopener” target=”_blank”>Activation Guidebook. The dove represents peace of the deepest kind. It soothes and quiets our worried or troubled thoughts. The template of the Dove enables us to find renewal in the silence of the mind. The dove’s roles as spirit messenger, maternal symbol, and liaison impart an inner peace that helps us to go about our lives calmly and with purpose. It is this peace we will be activating this month. From the 13th of September to the 11th of October, Tantra Maat and others will be traveling first to Ireland, then to Glastonbury, and then to Damanhur, Italy. Tantra began this operating relationship with the powers and forces of Creation in Mt. Shasta in what was called the Mimzy Project April 4th, 2010. The purpose she and others became part of was to establish gathering points of unity where new futures could come into existence in the etheric fields where human beings and the spiritual aspects of Creation once existed in unity and created the templates of new worlds. This will either resonate with you or not as it is resonance through which you must hear now, not through understanding. In the August 1st, Unity of Care Community Call, Tantra and the facilitators will lay out what is occurring and you will then be part of what is happening even if you are not present in form as now there is much power in our non-form, our Spirit. Here is the video of Tantra speaking about coming to Ireland as well as what she wrote in her diary. Later there will be more about Glastonbury and Damanhur. I highly recommend you listen to our June time together. Purchase here. We are in the midst of a multi-dimensional metamorphic awakening. The awakening of your etheric design is happening whether you are perceptively aware or not. We are designed to be dimensional stable. We are just not used to the experience of our dimensionality. We suppress our dimensional design because of its unfamiliarity. But now, that unknown magic is opening us up into activities of consciousness that need to be supported by our actions. These dimensional activations provide that. This is a must. Maru, a physics educator in Mexico, discusses with Tantra what she has unearthed about what leading physicists had uncovered and discovered often changing, during the course of their lifetime, what they comprehended about why we are having the times we are in now. While they did not know about these times, what they did know was that a lot of theories that influenced what people thought about reality were being proved wrong. A lot of those proved wrong never got into public understanding. Since the talk, I have received so many thank yous for the influence of the talk. Who would have thought that there was a deep need in us to understand what is happening and in that understanding, we would become abler and stabler? We will rekindle our deepest passion and love at the cellular level. Building the strength, stamina, and capacity for our higher emotions to revitalize our cellular unity. In honor of Buddha Boy & all the other of Creation’s Creatures that human beings may never get to know. 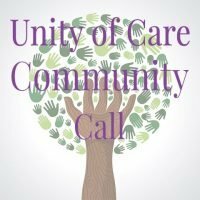 May 26, 2018: Jim wrote about what he wanted to address in the Unity of Care Community Telecall. Jim will be leading the June call. Join him. What does it mean to make peace with duality? What would it really be like to experience freedom from the struggles we encounter emotionally and physically and mentally as we quest to be connected with others in the field? How do we begin to shift the direction of the waters of life as they rush towards us — finding happiness as our state of being, able to respond to those currents without loss of freedom? How do we stay true to the reality of unity rising in the midst of the reality of separation we were born into? How do we find and then have the courage to press that ‘Reset’ button to regenerate our operating state as we begin to peel back whatever has been hiding us from ourselves? We live in special times now and are together at work on finding truths – surrendering to them no matter what – because we cannot ignore their resonance as our connections bring balance and harmony. 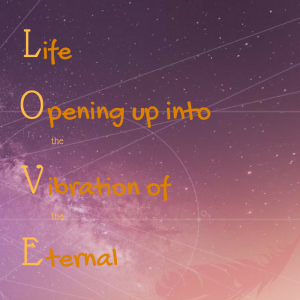 We are developing the energy frequency muscles which respond generatively with love instead of fear – knowing that others are also trying to find that frequency of life. Please join us this Wednesday evening, May 2, 2018 at 5:00 Pacific time for the next Unity of Care Community call as we continue exploring realities where harmony, equity, and balance emerge as core principles that restore and generate our abilities to respond to what is rising, as we bow to the new world listening – being willing to let go – allowing the river to flow within. In the April Cellular Activation, we activated the crystalline structure in our myofascial. Using water as our conduit, we connected the crystals into the cosmological frequencies that raise the vibration of the physical body. In May, we will work off of the work we did in April, and connect our cosmological grid into the planetary grid where the Planet and the Cosmos are united. This returning of the unification of the cosmological and the planetary grids has been building these last years. Now, we as conscious beings, are linking ourselves into that unification – the matrixes where cosmos and the planet meet. Highly recommend you purchase April’s Crystalline Grid Activation. The Unity of Care Community Facilitators would like to invite you to join us during our next call, celebrating our existence with One another, Wednesday, April 4th, 2018, from 5 PM – 6.30 PM PST. We stand at a pivotal moment in the arc of human existence. The reality into which we were born, the reality of separation, is tightening its grip as the reality of Unity is restoring itself. We need only to look around for the evidence of both realities, for while some human energy continues in fear and judgment, there is human energy operating in deep love. L.O.V.E. – Life Operating in the Vibration of the Eternal. If you’ve found your way here, you are, no doubt, being called to stand for L.O.V.E. You actively participate in this matrix. 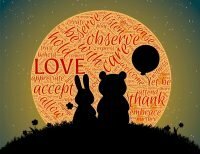 For at this moment, there is great potentiality for L.O.V.E. Like a dandelion reaching through a crack in the cement towards the sun, love is reaching up everywhere, in even the unlikeliest of places. L.O.V.E is loud and quiet, fierce and gentle, a mama bear roaring at intruders and then suckling her young. This year, the Spirals are engaged in deep work with L.O.V.E. In the month of April, we will explore what we did for love. Perhaps for love, you marched “For Our Lives.” Perhaps, you tended tiny shoots is a garden by pulling weeds that would threaten them. Perhaps you’ve loved someone when it wasn’t easy to do. Perhaps, you’ve engaged in the radical practice of loving yourself. In this Unity of Care Community Call, we will continue to explore L.O.V.E, hear what others have done for it, and share our own experiences. This call is a chance to engage with the larger forces of which we are apart, to actively engage in the reality of Unity, to deepen the matrix of L.O.V.E. Join us. This month’s call is the power of our love. 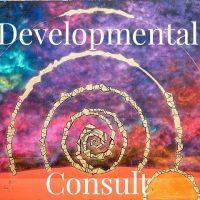 In a recent solar plexus activation, I got what in the body was trying to activate. I have been in a quandry as to where is the cellular system in the body that is not up to par. As always, in my direct link with Creation, my craving was answered. The minute I got into the solar plexus activation, the crystalline grid that lays in the webbing of the myofascial of the body appeared to me. The simplest analogy is that the crystals were not able to receive the amperage of the energy coming in and could not disperse into the cells effectively. As I went deeper into the person’s own activation I could feel my own crystalline grid rebooting into a higher receptivity. Imagine you are trying to listen to your radio, but it had lost the amperage of its crystals and there was only static…irritating…unexplainable static. Same same. I am so excited about what is rising in us. I so look forward to being with you to increase our capacity for higher frequency. Rock on! How do we get back in touch with that love that flows towards us everywhere in every minute? I recommend you purchase for only 99 cents the Activation Guidebook. With all our work with energy, our ability to tap the deeper integrated unified field within us is now available and one of the most powerful activities we can activate. What if everything has changed? What if, in truth, our cellular system is ‘thinking’ in a higher octave? What if it is important to know what has changed? What if the information we have about what is occurring is no longer correct and something of great importance is happening during this period of time? Be clear, I am speaking to 2018 and 2019 as a distinct moment. 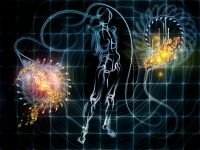 Human beings are noticing this through increased sensitivity and sensation, increasing attention to the value of being here or the lack there of, and morphing biology. Join us as we set in play a monthly ark. This ark is a monthly period of time within which we have safe passage and a secure structure to connect us to life during the turbulence of these evolving, collapsing, and rising times. The Unity of Care facilitators and Tantra will be discussing what it means to take a year to ‘Unpack Love’. In 2018, there will be 12 months of internal Cellular Activations to restore the matrixes within you that have you be strong enough to give, receive, and sustain love…to be the embodiment of love…and to exist where love is eternal. To do this, we have to go into our cellular system and repair, reset, and restore. We will open up into not only remembrances of love that we still carry when love is eternal, but also the structure of consciousness of L.O.V.E. that is rising in humanity at this time. Begin 2018 with Tantra Maat on a committed journey of LOVE. How are you going to take care of what I can take care of in an hour? Actually, an hour and a half. 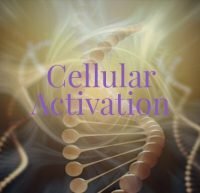 Do you stop each day and activate the deeper cellular system that is designed to give you health, longevity, and vitality? Are you designed to do that? Don’t think so. If you are, then so be it, but mostly I think not. This is what I am designed for. Strengthening your inner cellular system and support its awakening. Can you spare and hour and a half? You are welcome to nap. I only want your cells, not your attention. It is enough already, to have people not realize they cannot continue operate in the surface playing field without strengthening and enwholing their internal nature that gives them life and has them exist as whole. $34 a month for a nap and a time to rest in your physical matter is the same as going to a movie and buying popcorn and a coke. Only better for you. What is your commitment to yourself? Is it equal to your job? Your purpose? Your obligations? Taking care of your relationships? Without you and your internal fortitude, there is no ability to bring all of what you are to life. This is a choice. One I recommend taking. 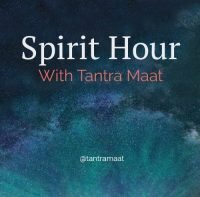 Spirit Hour recorded on Sunday June 18th, 2017 6:30-7:30 am PST. Spirit Hour is our sacred time to be in unity with the greater systems of Creation of which we are a part…to be where spirit is alive in the flesh…to be where matter embodies energy. Everything now is part of a future matrix forming whose timeline has begun to interrupt the linear timeline that has kept this planet and its forms enslaved in only one life, only one way, and in the narrow confines of limited awareness that generates limited worlds. Your replay details will be provided after purchase.